It was getting dark as we finished up with the Dinosaur Garden, so we headed inside the museum. 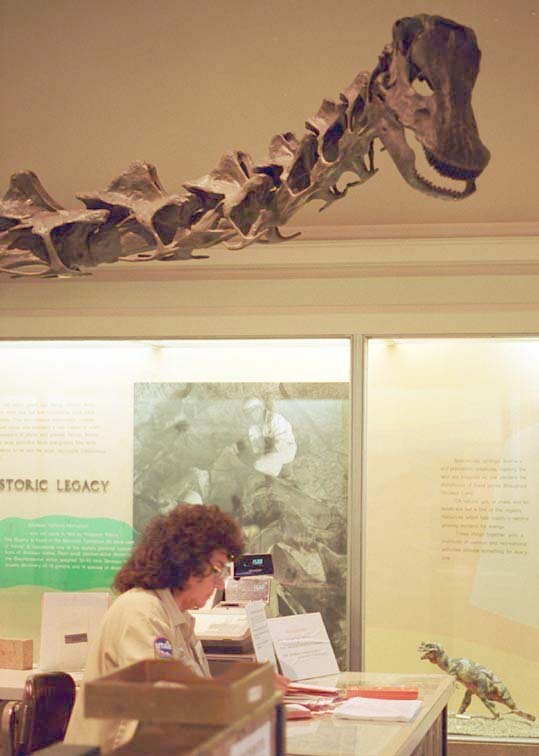 The ranger is calmly going about her business, just as though there weren't an Apatosaurus lurking above her head. 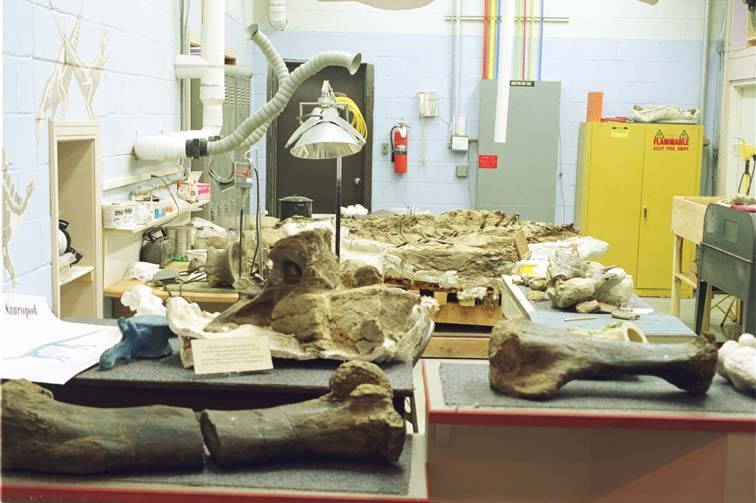 There is a working fossil lab inside the museum. There is a large collection of minerals. Here are some examples. 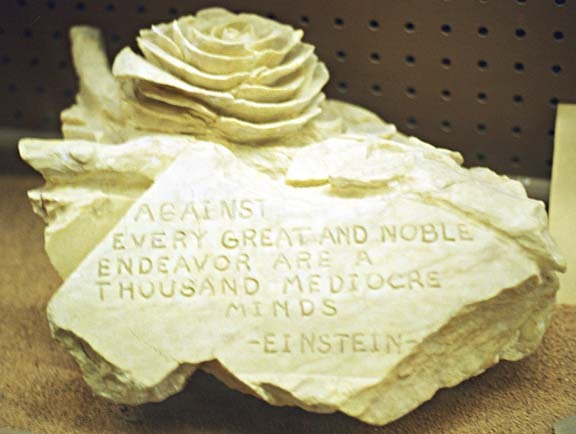 artists have used alabaster for statuary. north of here in the Carmel formation. 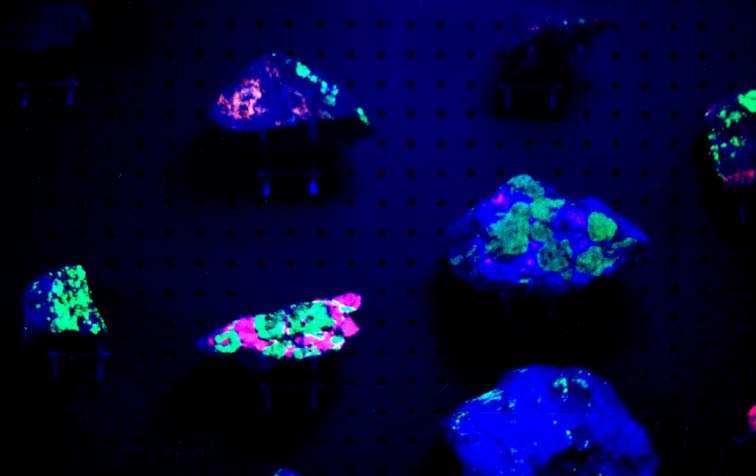 There is a room of minerals that fluoresce under UV light. This photo was taken in 1982.